Stair lifts come in a range of sizes and capacities. Compact models accommodate and provide mobility for narrow staircases, supporting up to 350 pounds in the process, and at the other end, heavy-duty stair lifts offer a wider seat and can handle a greater range of body types. The Indy XL presents the greatest capacity in the industry, supporting up to 500 pounds. Added to this, Indy designed the model to carry individuals of many sizes with a 25-inch wide contoured seat with a 20-inch top height. To give full support, the system’s reinforced with durable materials and features a 90-degree swivel seat at both upper and lower landings. 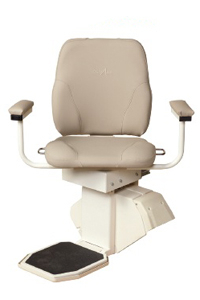 The stair lift, too, travels up to 40 feet and uses a contrast pressure control switch for operation. For usage, what specifically can you do with a heavy-duty lift? Because of the larger, stronger design, the stair lift provides accessibility and improves mobility for anyone who’s heavier than average. However, the typical stair lift might be too narrow or too short for some, and as the heavy-duty design offers a larger, higher seat, it further accommodates anyone who’s taller than average or has trouble comfortably using a standard model. Within a home, a standard lift might accommodate two average-sized adults, but what about when you have to deal with the public? Your customer base, clients, and patients likely come in a range of sizes and shapes, so the heavy-duty model essentially suits everyone who would need to use the stairs. 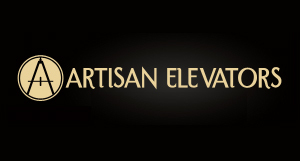 Be aware that, to install a heavy-duty lift, any staircase must provide 36 inches of room. What happens, though, when multiple family members require accessibility? Whether you’re meeting a current need or anticipating a future one, installing a larger lift takes everyone’s physical needs into consideration. If your home’s equipped with enough space, take precautions by having a heavy-duty lift installed. The Indy XL is suited to both residential and commercial applications. To learn more, contact Indy Stair Lifts today.